Product prices and availability are accurate as of 2019-04-21 18:55:25 UTC and are subject to change. Any price and availability information displayed on http://www.amazon.com/ at the time of purchase will apply to the purchase of this product. 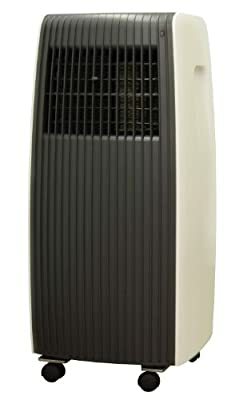 The SPT Single Hose Portable Air Conditioner - 10,000 BTU features cooling, dehumidifying and fan featured all in one. Powered by 10,000btu cooling capacity, it ideally cools an area up to 300 sq. ft., perfect for a standard bedroom or office space.